Microgynon, with its distinctive emerald and gold packaging, is one of the most popular contraceptive pills in the UK. The Pill is not just prescribed as a contraceptive but also for painful, heavy, continuous or irregular periods and for premenstrual tension. 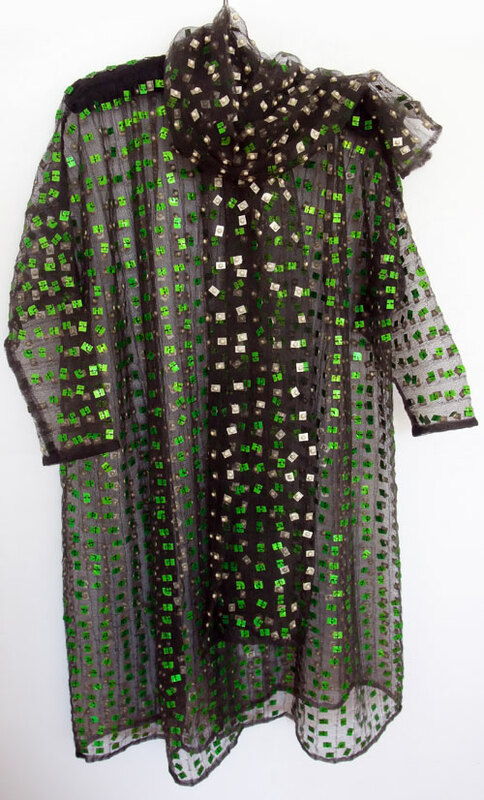 This coat and shawl contain enough pills to provide contraception for nine years.